I love it! I don't know if this was her profession and she earned money for her work or if it was an indication how she spent her time without receiving money for sewing and knitting. 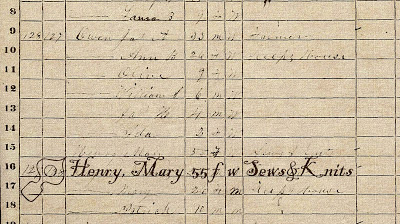 Wouldn't it be wonderful if more census records for women included entries like this?! 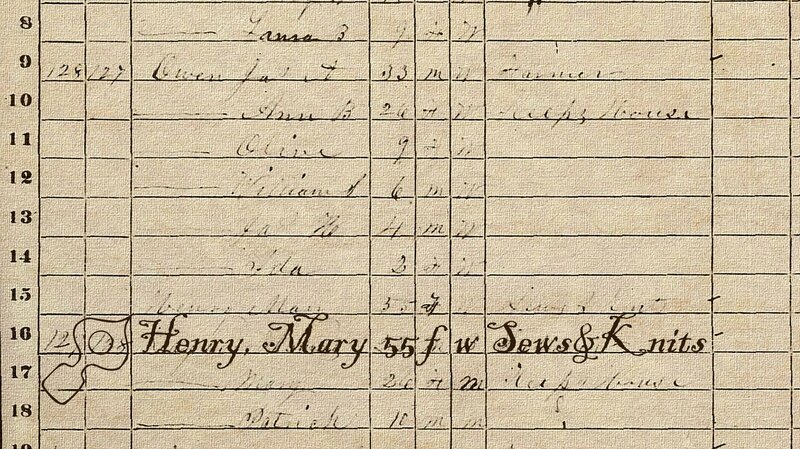 I would have liked my census record (had I been alive in 1870 and doing what I'm doing now) to say family historian, quilter, and sewer. Thanks for sharing. Great find!